Gina Rodriguez as Filly Brown in "Filly Brown." 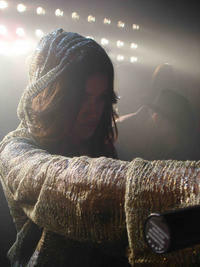 Gina Rodriguez on the set of "Filly Brown." Gina Rodriguez at the 26th Annual Hispanic Heritage Awards. Director Youssef Delara, Gina Rodriguez and director Michael D. Olmos at the portrait of "Filly Brown" during the 2012 Sundance Film Festival. Gina Rodriguez at the NYLON Magazine's Annual May Young Hollywood Issue. Gina Rodriguez at the portrait of "Filly Brown" during the 2012 Sundance Film Festival. Gina Rodriguez at the NYLON Magazine and Tommy Girl celebration of The Annual May Young Hollywood Issue. Gina Rodriguez at the London screening of "Filly Brown." 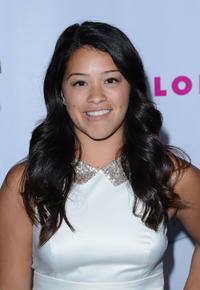 Gina Rodriguez at the California premiere of "Casa De Mi Padre." Edward James Olmos, Gina Rodriguez and Michael D. Olmos at the press room during the 2012 NCLR ALMA Awards. 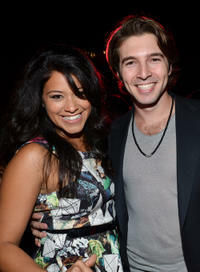 Gina Rodriguez and Roberto Aguire at the celebration of "Latinos In Hollywood." Gina Rodriguez at the 28th Annual Imagen Awards. Gina Rodriguez as Gina Esperanza in "Go for It!"